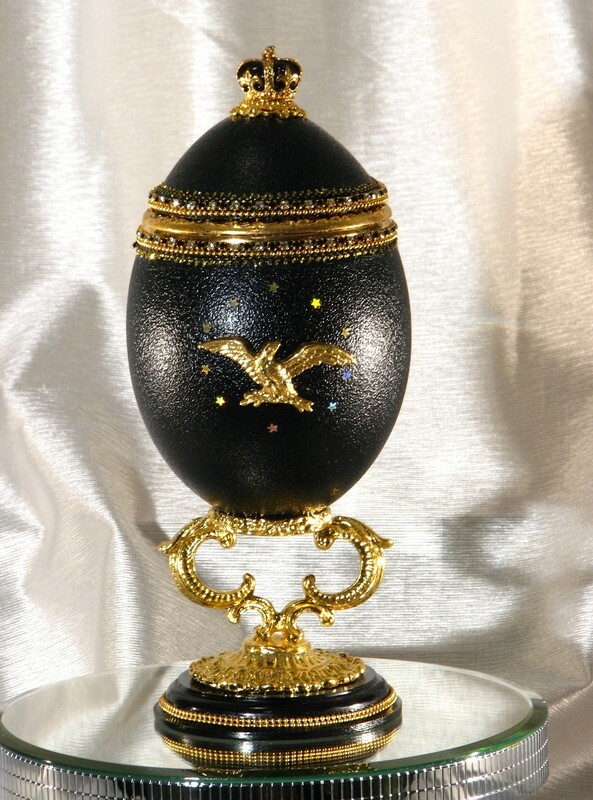 A emu egg is hand-cut and transformed into a spectacular music box. A gold plated train turns, while playing “I’ve been working on the railroad”. 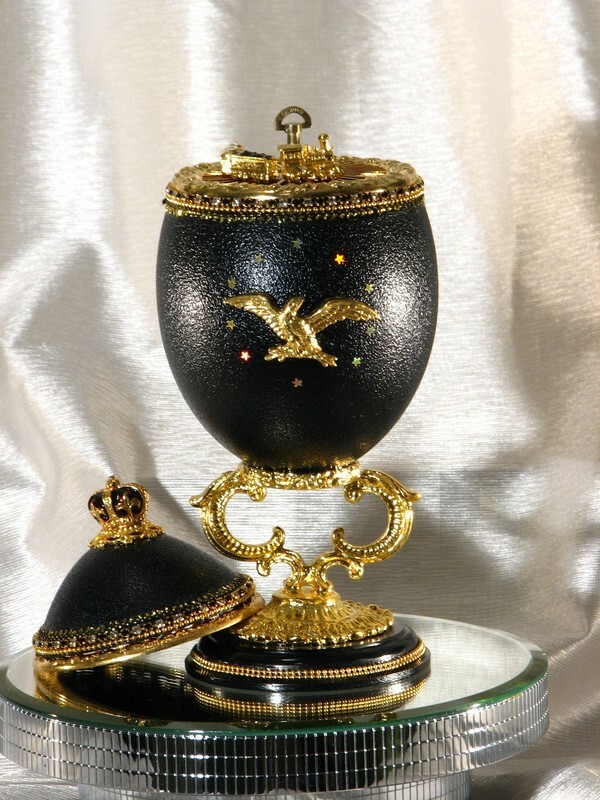 This design is accented with gold plated eagle and decorated with Austrian Crystals. 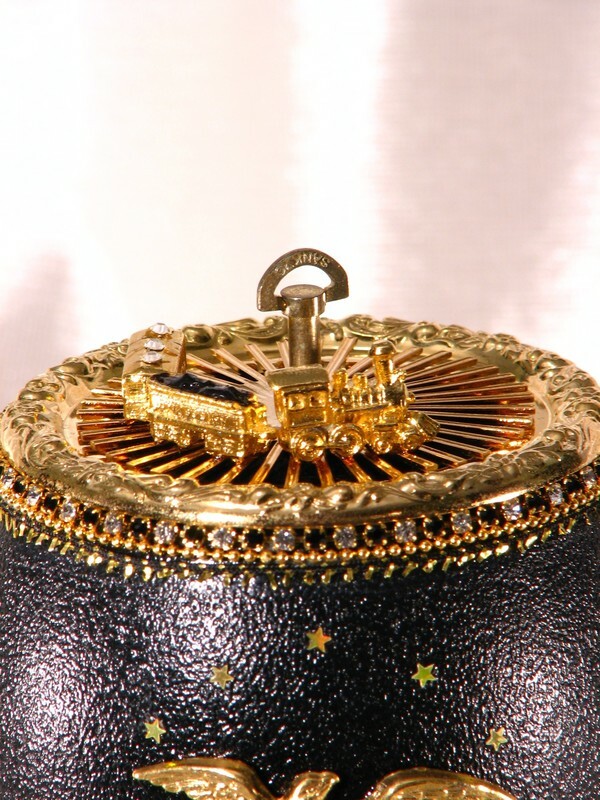 The music box is enhanced with a gold plated stand supported by a Corian base. 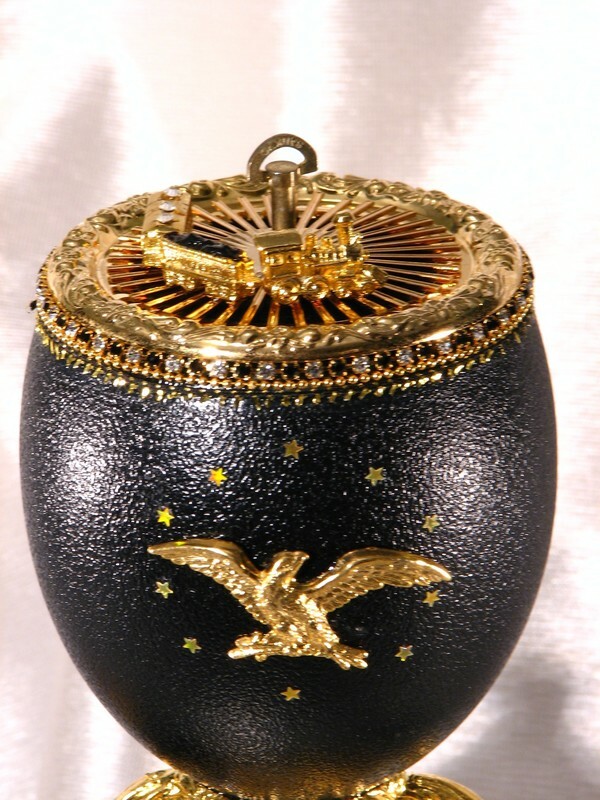 This musical egg will bring back memories of the great American railroad of the past. 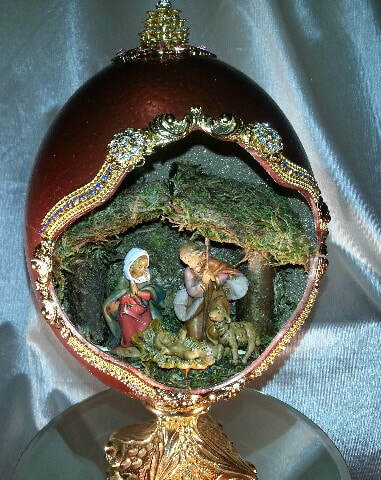 This classic holiday manger scene is recreated in a large Ostrich egg. 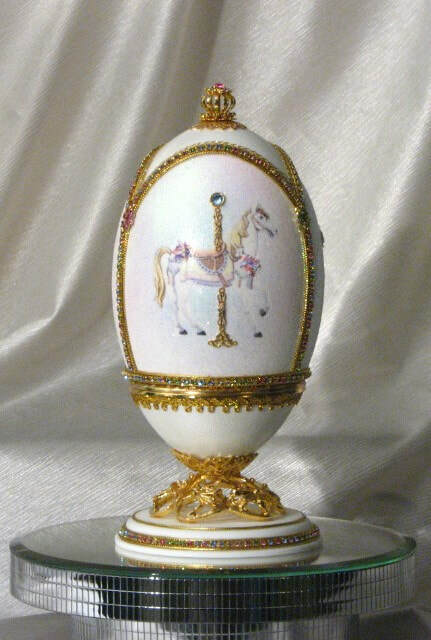 This 17" ostrich egg is hand cut and accented with Austrian crystals and beaded filigree. 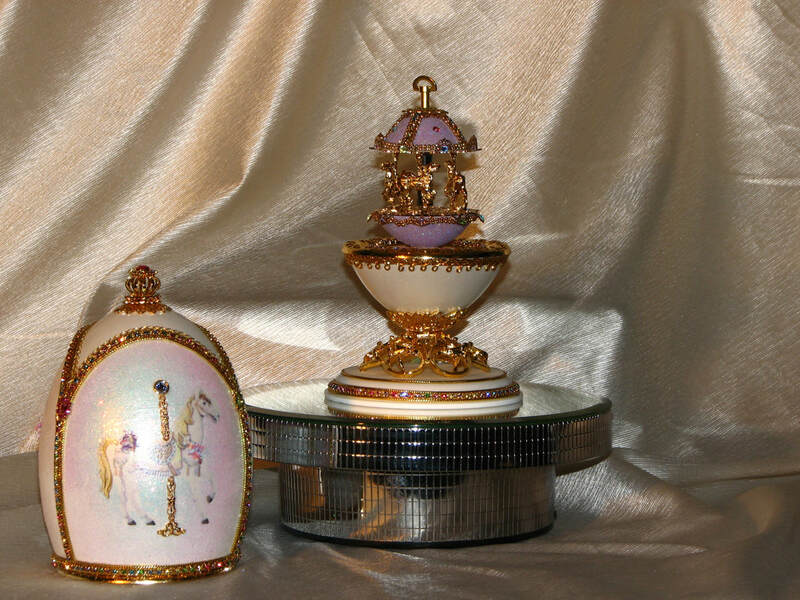 The Fontanini figurine is hand-painted and sculpted in an old world style by Italian artisans. 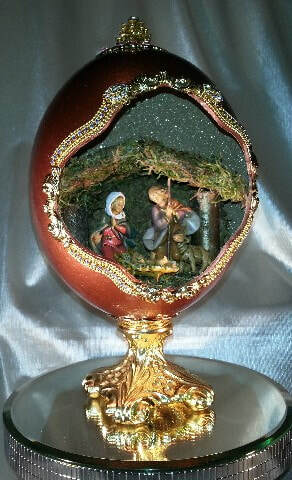 This holiday design includes a music box playing the classic tune Silent Night. 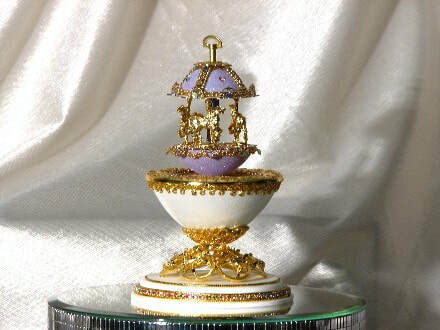 This wonderful design is finished with a gold plated stand and beautiful crystal finial top. Carousel has a choice of two carousel tunes, click below to hear both waltz's. Other tunes may be available.